Established in 2011. Bon Me is run by Boston-bred duo Patrick Lynch and Ali Fong. The business was born in 2010 when the two decided to enter the City of Boston's Food Truck Contest on a whim and surprised themselves by winning. With their win came the opening of the first Bon Me truck in 2011. Five years and lots of sandwiches, rice bowls, and noodle salads later, Bon Me has expanded to seven bright and colorful food trucks and five restaurants in Kendall Square, Fort Point, Fresh Pond, Boston Public Market and Chestnut Hill Square. Our name and food are inspired by the classic Vietnamese bánh mì sandwich. but our sandwich is a decidedly non-authentic bánh mì! We strive to make as many house made items as we can. From the drinks to the dressings, if we can make it from scratch, we will. We're also aware of the many dietary restrictions our customers have - as a result, there are numerous vegan, vegetarian and gluten friendly options on board. Just ask the order taker! Bon Me is friendly, fast, and delicious! The staff was very nice and food tasted fresh and delicious. Quick counter service and tasty bowls. Good for a no-fuss meal while out shopping. Good and friendly service, even though it was busy on a Sunday afternoon. The Mala bowl was delicious! More options than typically at their food trucks! Great food and awesome portion! Excellent sandwiches, super quick. Location left something to be desired in terms of atmosphere/polish- the signs were just kind of taped to the wall. I've been to other locations and the truck before, this one was a little different. Quick and delicious! The perfect amount of variety at a great price. Sooo tasty and wonderful!!! Get the Miso pork!! The tacos were delicious, and were unexpected at a vietnamese restaurant. Delicious and great vegetarian options. Nice staff. Unfortunately mostly chicken on menu. Beef would have been nice but not available. The broth was excellent. Delicious, healthy alternative to take out. Will definitely go back! Friendly service and tasty food! The food and service was great! I like that they have several locations around the city. Bon Me was delicious and located conveniently to me! I loved visiting Bon Me! They have great options! Both my sandwich and the chia pudding were delicious! The space is small, but comfortable and kid-friendly (think food truck coloring sheets). Service was fast and friendly, and food was well priced and delicious! Excellent meal, ill definitely go back again! The food was quite tasty. Service was a bit slow. I was disappointed that there weren't more places to sit. I had to perch on a metal bench and eat at a narrow sort of bar by the window. They were unsure how to process the voucher.. 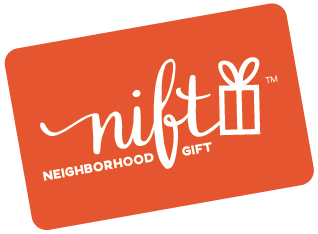 The cashier was very willing to help me figure out how to use the Nift gift from my email. Friendly service and was easy to stop by for dinner on my way to a friend's house. I love bon me! Fast and great food!! First time trying Bon Me - tasty food! Fresh Food. Full of flavors. The sandwich I had was perfectly toasted, the pork was expertly seasoned. The spicy dipping sauce with my sweet potatoe fries was the right balance of creamy and hot. Exceeded my expectations! It seems they were built on their meat dishes. Vegetarian options were not very impressive. Service was friendly. My Ramen was a generous portion and it was delicious-- perfect for a cold day. My friend enjoyed his sandwich also. Great food, well-priced! The ramen was delicious and the service was great! NIce location, kindly stuff, good food, even if short food selection! Delicious. Employees were also polite. Food took <5 mins to come out! Great experience.